Have a question for Zao Kokusai Hotel? 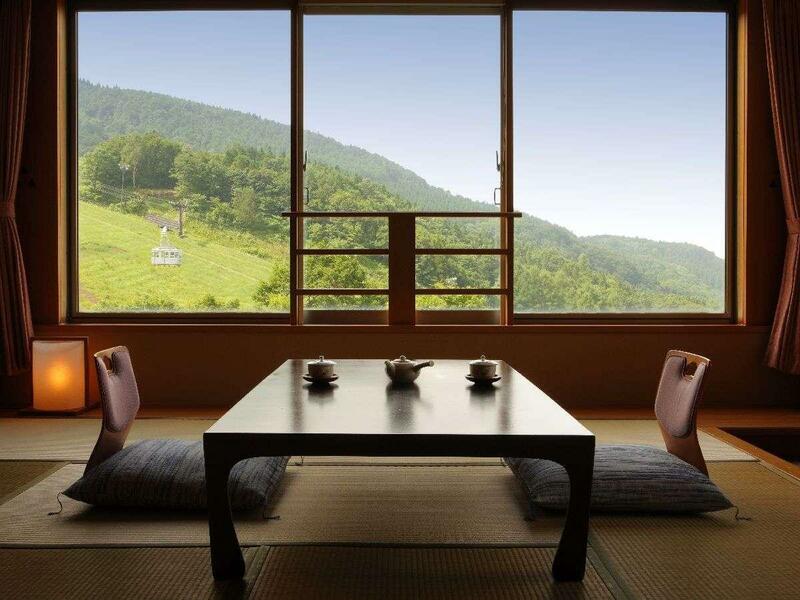 "guests enjoy discount with free shuttle service to sn open a..."
Designed for both business and leisure travel, Zao Kokusai Hotel is ideally situated in Yamagata; one of the city's most popular locales. From here, guests can enjoy easy access to all that the lively city has to offer. With its convenient location, the hotel offers easy access to the city's must-see destinations. Zao Kokusai Hotel also offers many facilities to enrich your stay in Yamagata. Guests of the hotel can enjoy on-site features like luggage storage, Wi-Fi in public areas, car park, room service, newspapers. Guests can choose from 62 rooms, all of which exude an atmosphere of total peace and harmony. Whether you're a fitness enthusiast or are just looking for a way to unwind after a hard day, you will be entertained by top-class recreational facilities such as sauna, hot spring bath, skiing, massage, karaoke. Superb facilities and an excellent location make the Zao Kokusai Hotel the perfect base from which to enjoy your stay in Yamagata. As an international hotel with so many global skiing tourists, I think the basic English communication skill of the staff should be improved. The staff can barely understand what we’re talking about. And we were assigned to a smoking room and no one let us know. The room was full of cigarette smoke every time we went in. In addition, we don’t eat raw food and they changed the course to a plate of salad, which surprised us a lot, as we normally get to change to a course at least with cooked seafood. Other than this, the hotel provides wonderful hot spring experience. The outdoor hot spring is well-designed and you can feel the snow dropping down to your face. The rotenburo/outdoor onsen is milky in colour. The dinner is artistically presented and sumptuous tasting. Breakfast is also great. And guests enjoy discount with free shuttle service to sn open air hotspring in the mountains! only one female staff can do communication in Chinese. All the others with poor English and not willing search help from others!! So sad we cannot enjoy further interaction with local staff. That's really depressed us. 溫泉太棒了. 一泊二食真的很棒, 食物好吃, 服務也很體貼. 房間也乾淨, 價格合理, 會再去一次的.